In uptrending markets, most of our swing trade setups are stocks and ETFs (with relative strength) that are breaking out above bases of consolidation. We also buy pullbacks of uptrending equities when they retrace to near-term support levels. However, another bullish chart formation many technical traders profit from is the “cup and handle” pattern. Notice that the left side of the pattern begins in November 2012, after a 60% rally off the lows. This is positive because proper cup and handle patterns should not form at or near 52-week lows; rather, there should already be an uptrend in place for at least several months in order for a correct cup and handle to develop. 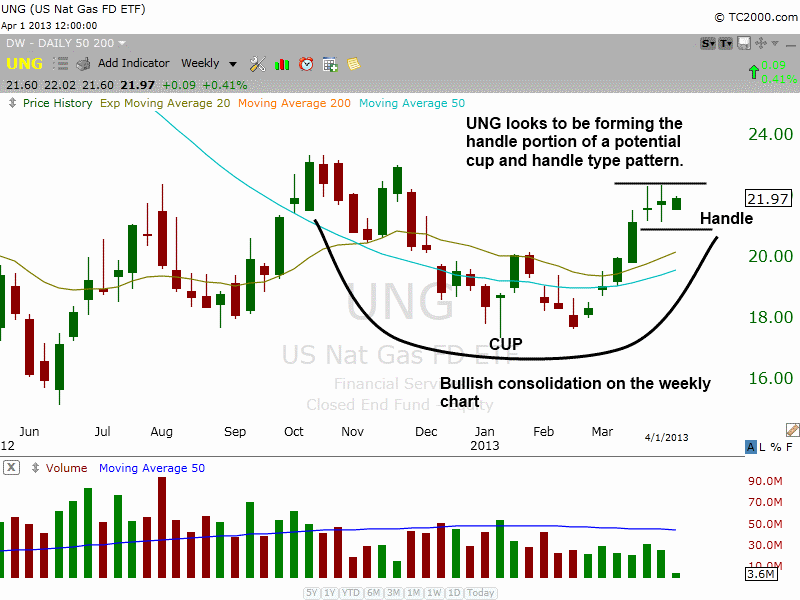 The selloff in December 2012, as well as the bottoming action in January and February of this year, combine to form the left side and bottom of the “cup.” The right side of the cup was formed when $UNG broke out above major resistance of its 200-day moving average and rallied to the $22 area.  The handle typically requires at least a few weeks to properly develop (sometimes more). While forming, price action will typically slope lower. 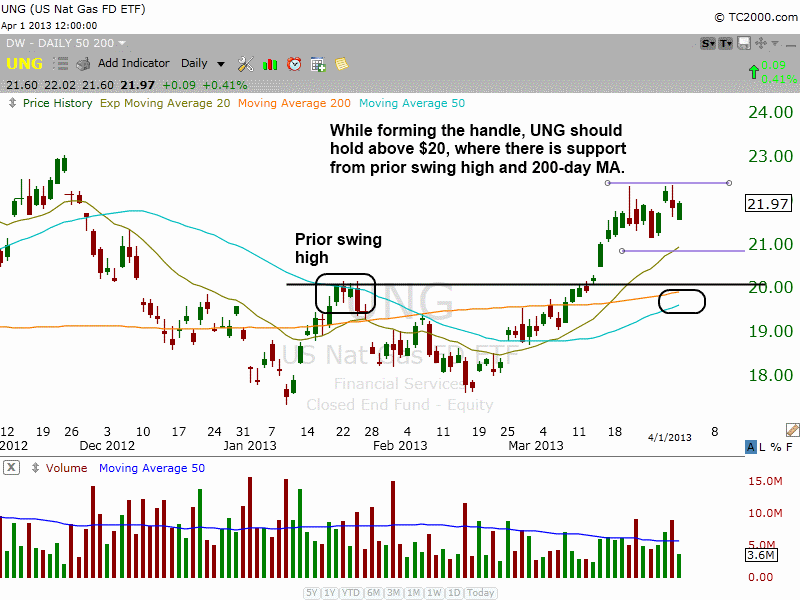 In the case of $UNG, even an “undercut” of the March 25 low and 20-day exponential moving average would be acceptable. However, the price needs to hold above the $20 level during any pullback. Otherwise, a breakdown below that important support level could signal the pattern needs a few more months to work itself out. If buying $UNG, it is important for traders to be aware of possible contango issues that could result in an underperformance of the ETF, relative to the actual spot natural gas futures contracts. Nevertheless, contango is typically not a big deal if exclusively swing trading the momentum of $UNG over shorter-term holding periods (less than about 4 weeks). Conversely, the negative effects of contango become much more apparent over long-term “buy and hold” investing timeframes. For our rule-based ETF and stock swing trading system, the technical chart pattern of $UNG is not yet actionable. Still, the annotated charts above clearly explain the specific technical criteria we seek when trading the “cup and handle” chart pattern. As always, we will promptly alert newsletter subscribers with our preset entry, stop, and target prices for this swing trade setup when/if it provides us with an ideal, low-risk buy entry point in the coming days.